The success of negotiations between Iran and the P5+1 at Lausanne has opened up new opportunities for Russia to develop military-technical cooperation with Iran. Russia is ready to supply Iran with new weapons, but analysts expect competition in opening up of the arms market of the Islamic Republic. Iran has traditionally been a partner country, first of the USSR and then Russia in the field of military-technical cooperation (MTC). But the prospects for development of MTC between the two countries were compromised after Iran's attempt to buy anti-aircraft missile systems, S-300 PMU-1, worth more than $800 million from Russia, did not transpire. Though contracts were signed by the concerned authorities in 2005, Russian President Dmitry Medvedev banned the deal in 2010, citing a UN Security Council resolution prohibiting the sale of offensive weapons to Tehran. The Kremlin apparently adopted the decision to maintain its partnership with the West. Iran subsequently filed a claim against Russia in the OSCE Court of Conciliation and Arbitration, stating Moscow had reneged on the contract. Tehran has since said that it would withdraw its claims if Moscow fulfils its contracted commitments. 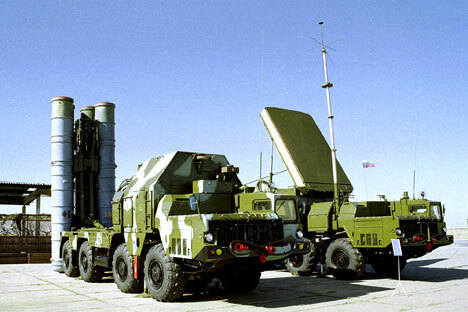 Iran rejected the Kremlin's offer to supply the short-range air defence missile systems “Tor-M1E” instead of the medium-range S-300. On July 18, 2014, Mehdi Sanai, the Iranian Ambassador in Moscow, said Tehran considers the contract for the C-300 as “active” and does not rule out purchasing newer air defence systems from Russia, indicating the C-400. Their interest in the 300's has decreased, because of China's manufacture of products like HQ-9 (FD-2000), a copied version of the Russian S-300. The visit of Russian Defence Minister Sergey Shoigu to Tehran on January 20, 2015, the first by a defence minister in 15 years, and signing an agreement on military cooperation shows that both countries are keen to revive defence collaboration. However, the agreement did not contain any specific sectors for implementation of such cooperation. Additionally, with a likely removal of sanctions, it will not be limited to buying ready-made products abroad, but also to modernize its defence industry through the acquisition of Moscow's military technologies. Iran is particularly interested in developing advanced air and missile defence systems, and is ready to procure advanced technologies from the countries that are recognized leaders in the manufacturing of these products. The country does not hide its ambitions to become a “naval power at the intersection of strategic trade routes in the world's waterways” and seeks to strengthen its navy in order to enable it to counter the West, with the help of Russia. The Islamic Republic is also interested in establishing on its territory “certified centres and joint ventures for the repair and maintenance of arms and military equipment of the Soviet-Russian production”. According to Victor Kladov, head of the International Cooperation Department of “Rostech” corporation, Iran is a traditional partner of Russia in the field of MTC and, in the event that sanctions on acquiring weapons are lifted, the Russian side would continue to cooperate in the supply of new weapons as well as in the repair and modernization of Soviet and Russian-produced equipment possessed by Iran. In this context, the official's statement appears optimistic, and the transfer of Russian weapons technology to Iran not in doubt.